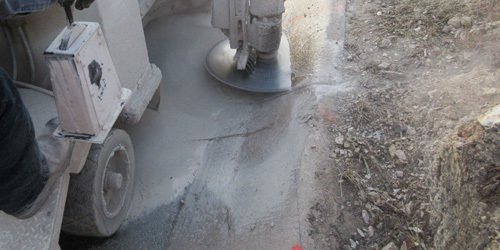 Curb Cutting is a process where a specialized machine is used to cut concrete horizontaly. This type of sawing is typicaly done for a new driveway aproachs and handicap ramps. 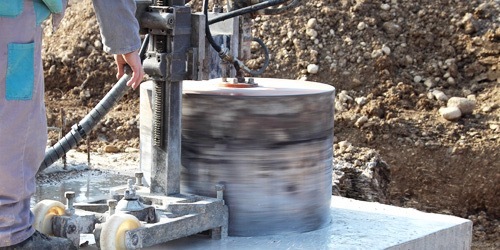 Diamond core drilling is a method of cutting a wide range of holes in reinforced concrete, masonry, refractory, asphalt, stone, and other hard materials. 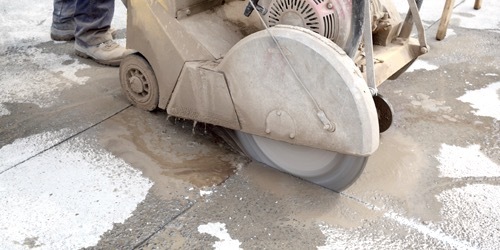 If a surface is reasonably leveled we can do flat and decorative sawing. 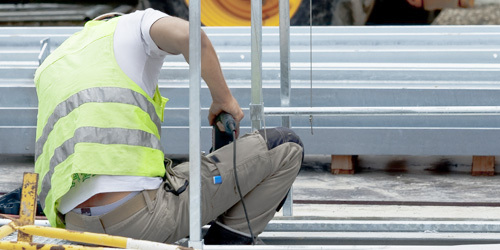 Flat sawing is commonly done on pavement, floors, roofs, bridge decks, dams, culverts, and similar sites. Vertical surfaces and surfaces inclined to the point that flat saws cannot be used are the application areas for wall saws. Ground-penetrating radar (GPR) is a nondestructive method that uses radar pulses to image the subsurface. 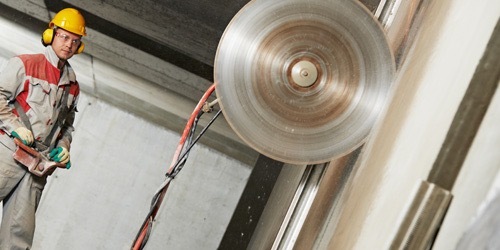 This method uses electromagnetic radiation and detects the reflected signals from subsurface structures. Serving San Antonio and South Texas since 1977. © 1977 – 2015 Holes of San Antonio. All rights reserved.